Enter online today for your chance to win! 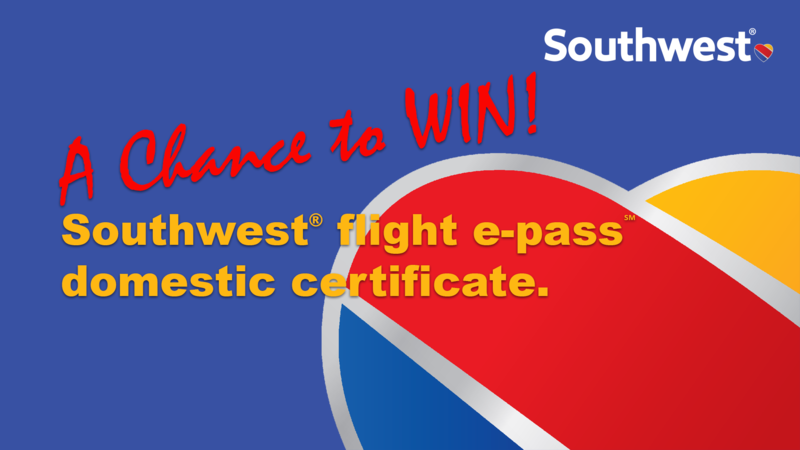 Southside Theatre Guild is proud to offer you A CHANCE TO WIN two Free Round-Trip e-passes on any Southwest Airlines operated, published and scheduled service. Southwest e-passes are valid only in the United States, its territories and its possessions, including Puerto Rico. The Drawing will be held July 21, 2019. Travel must be completed by the expiration date. Southwest e-passes cannot be exchanged, extended or reissued. Rules and regulations for flight e-pass usage will be provided to recipient.